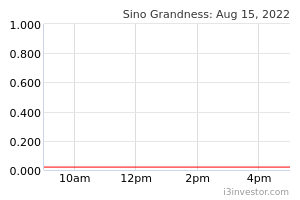 Sino Grandness Food Industry Group Limited, an investment holding company, produces and sells canned vegetables and fruits in the People’s Republic of China, Europe, North America, and internationally. The company offers canned fruits, such as mandarin oranges, peaches, hawthorns, pineapples, grapes, coconuts, and mixed fruits; and canned vegetables, including asparagus spears, whole and sliced mushrooms, sweet corns, green beans, and artichokes, as well as produces and sells fruit and vegetable juices. It also provides snacks and other products comprising Brazil and Northeast pine nuts, dried blueberries and cranberries, dried sweet potato and taro, chestnuts, Hei tang and Lao po plums, dried olives, Wu suan plums, dried lemon plums, and beef jerky, as well as brown, rock, and cane sugar. The company markets and sells its products through supermarkets, discount stores, and convenience stores. Sino Grandness Food Industry Group Limited was founded in 1997 and is headquartered in Shenzhen, the People’s Republic of China. jcwm22 Simon, how high can it fly? I heard 1.50 which i don't know whether to believe. clarence_yeo2003 there was once sino grandness hit 1.6 level and it gone into share spilt 2 into 1. is this piece of good news or it is going to cause confusion to the investors. Melaos when will it fly? clarence_yeo2003 not too hopeful on sino grandness's current weakness. There are price target by broking house suggesting further downside pressure to 0.53 which i feel there could be more downsie bias towards 0.38. Ron888 what happened to this counter??? sentimentrader watch this stock .resistance today at 0.535.
sentimentrader Waiting for big catalyst or what..